A package of 10 pcs. costs 270 USD. 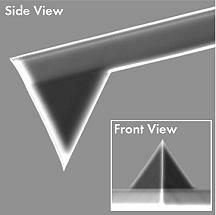 NanoWorld Arrow™ FM probes are designed for Force Modulation Mode imaging. The Force Constant of the FM type fills the gap between Contact and Non-Contact probes. Furthermore Non-Contact / TappingMode™ imaging is possible with this AFM probe. 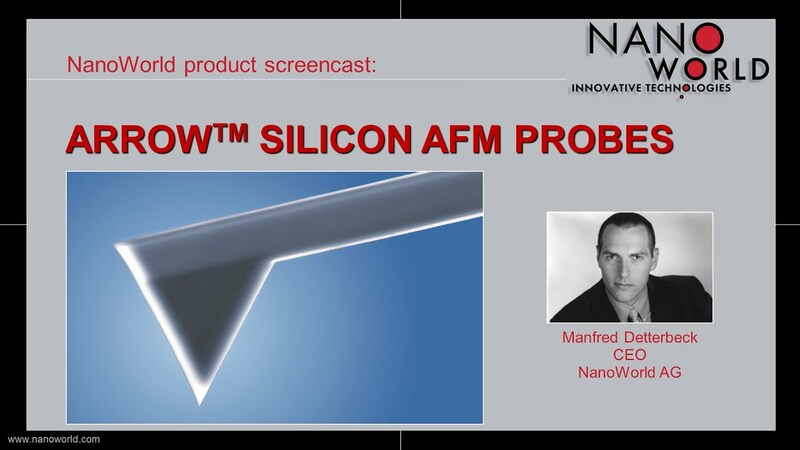 All SPM and AFM probes of the Arrow™ series are made from monolithic silicon which is highly doped to dissipate static charge. They are chemically inert and offer a high mechanical Q-factor for high sensitivity. The probes feature a rectangular cantilever with a triangular free end and a tetrahedral tip. Additionally, this probe offers an excellent tip radius of curvature. The aluminum reflex coating consists of a 30 nm thick aluminum layer deposited on the detector side of the cantilever which enhances the reflectance of the laser beam by a factor of 2.5. Furthermore it prevents light from interfering within the cantilever.